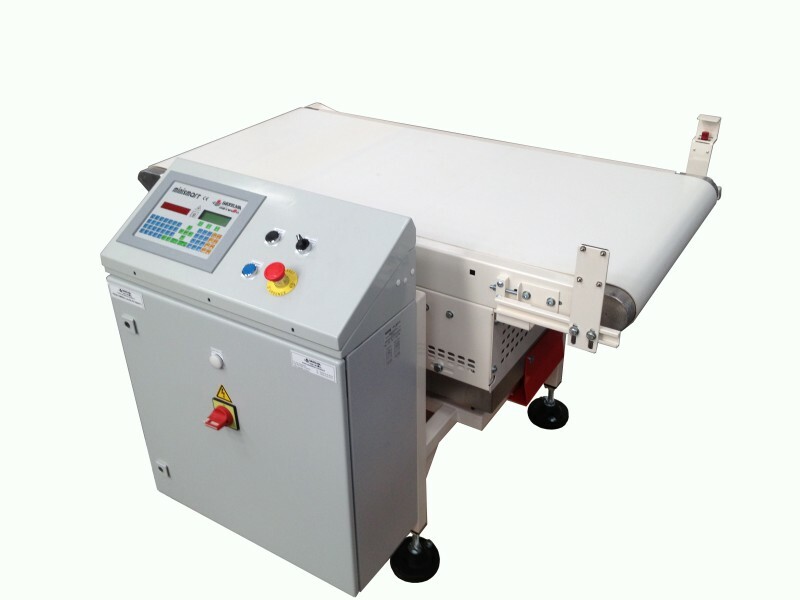 The CW1 checkweigher is a weighing machine used for in-line control of weight of bulk materials packed in bags of 10 to 50 kg automatically conveyed. Check continuously the pre-packed products and reject the products with weight shortages (metrological checking for pre-packed units - legal trade). Measure and totalize the weight of the production. Correct automatically a volumetric weigh feeding by mean value feed-back control software for one or more weighing heads. A rejection system done by pneumatic pusher or retractable conveyor.